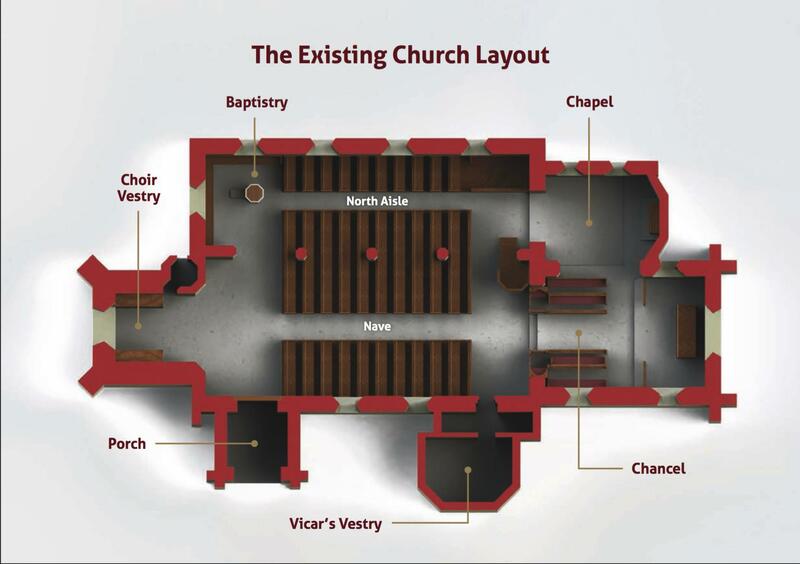 To create a space which is more suited to the needs of a congregation in the 21st Century for worship and ministry. Comfort and flexibility of use feature high in these requirements. To create a space which is more suited to the needs of the community at large for holding meetings and events. To extend the life of the building as a community asset. 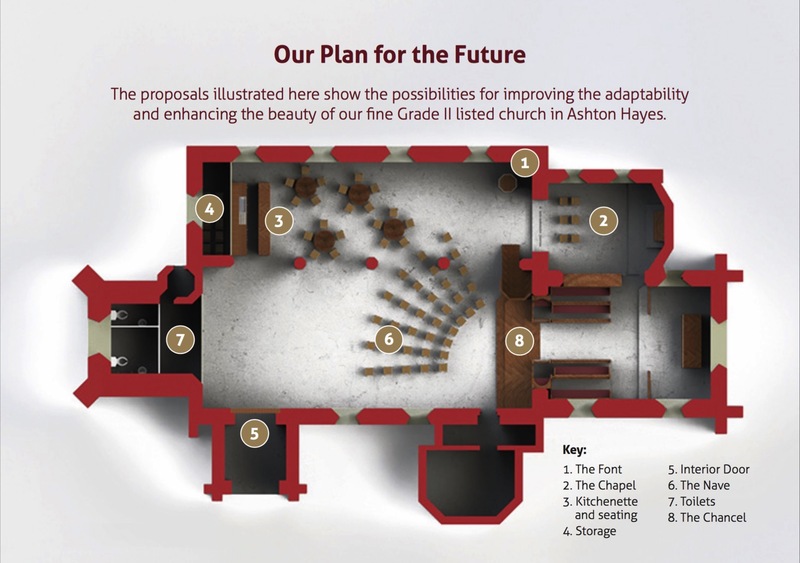 Our plans include the introduction of toilet and kitchen areas, plus a new floor and seating. We also intend to add an efficient modern heating system, improved disabled access and audio-visual equipment. Having now received formal faculty approval for our proposals, we are currently fundraising to make these exciting plans a reality. We have already raised over £100,000 towards our £300,000 target. Please complete a donation form or contact us for further information on how you can help.